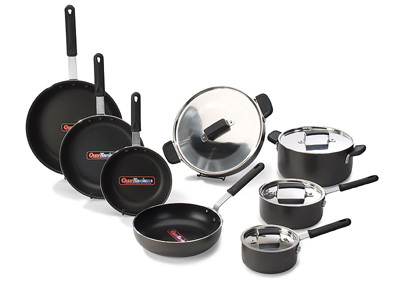 We are so confident in our cookware, that we put together a crazy 30 Year Warranty! Here is what it includes . . .
For the next 30 years . . . If they ever chip, peel, crack, flake, or blister . . . we send you a new one! If they ever warp or bend . . . we send you a new one! If the lids deform . . . we send you a new one! If the handles come loose, or even jiggle . . . we send you a new one! If it ever sticks . . . we send you a new one! YES, For the next 30 years! Simply call the number on your warranty card, give them the serial number on the bottom of the pan, and they will assist you in exchanging the piece for a brand new one! No charge to ship you a new one! Additionally, once you receive your shipment of cookware, if you open the box and it wasnâ€™t what you expected, you can simply return it for a full refund.